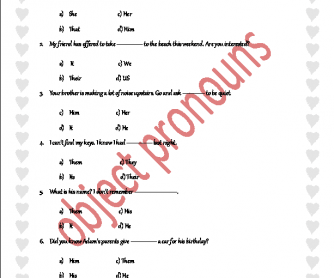 This English grammar worksheet is to help your students learn about object pronouns. 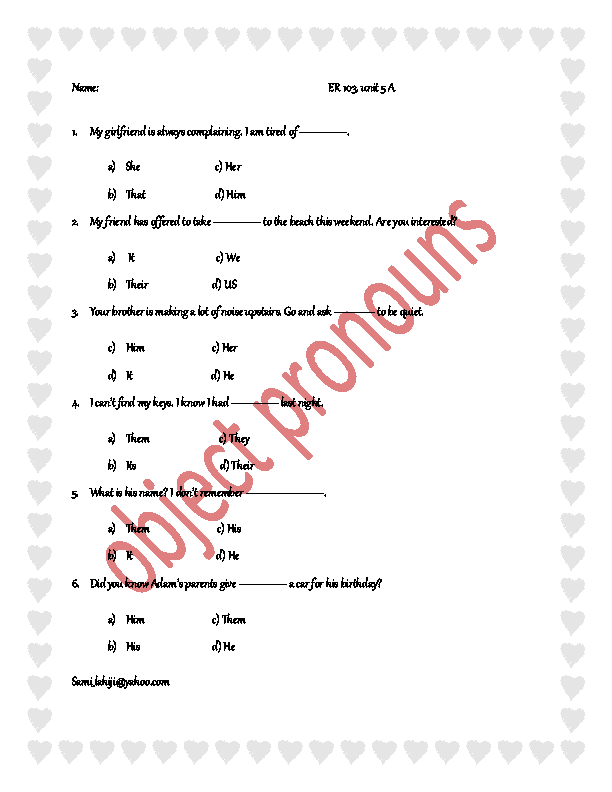 Print and ask them to complete the sentence with the appropriate object pronoun. This worksheet is suitable for elementary students. Hope you and your students enjoy it!